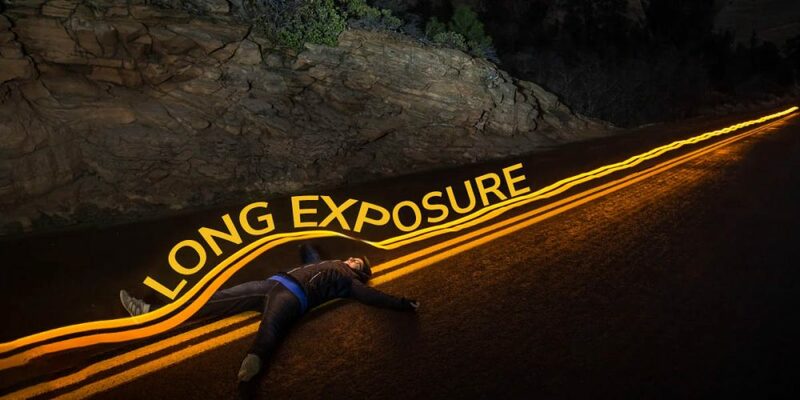 Long exposure photography is not just the sparkling, glittery side of photography where you get you see light trails, light painting and stuff like that. There is more beauty to it as here you will find out what famous photographers do. Keeping the shutter open for a longer period of time also opens a space where your creativity meets reality. You would simply need to position your camera on tripod so it doesn’t shake or replace when you are capturing photos. Well. You will be able to take great shots even with entry level models such as Canon 1200D, Nikon D3200. 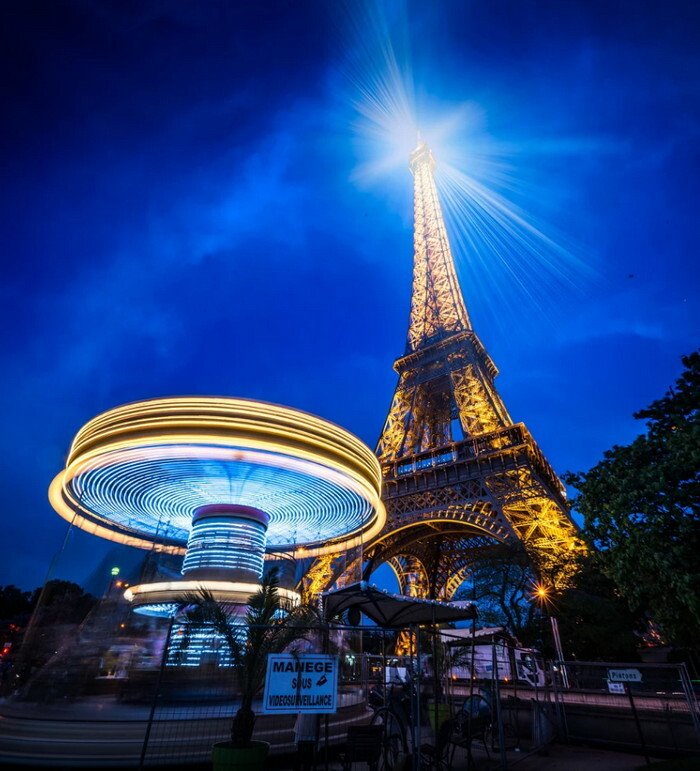 There is no specific camera for talking long exposure shots but if you want better ISO, great low light performance and awesome HDR then you must pick a professional camera. Well its my personal opinion as I have seen people with entry level camera and high end lens getting epic photos. Also note that most cameras have the exposure time upto 30sec, if you need longer exposure times change the setting to BULB. You may then have to manually release the button on BULB mode. Here is a great tutorial on long exposure techniques to getting started fast. The camera settings for the below shots are mentioned with the photograph so you get a clear idea on how the shot was taken. 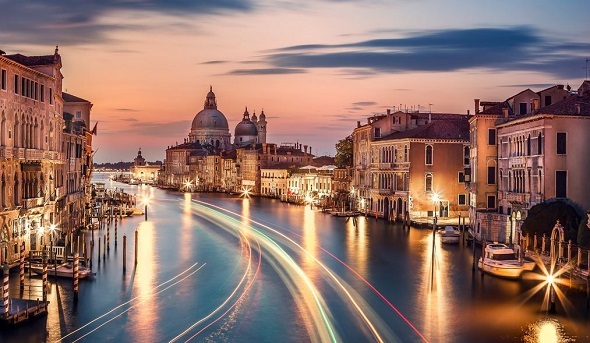 Check these 60+ breathtaking examples of long exposure photography that will amaze you either you are a photographer or just a fan of photography. 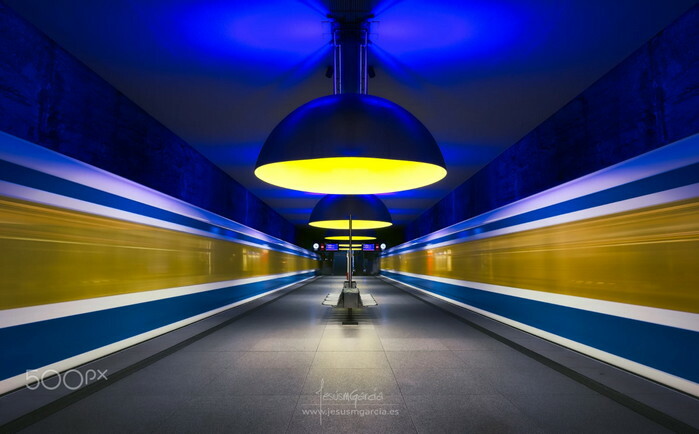 Also take a look at this topic on the best photography websites used by famous photographers. Here is the longest form of long exposure shot took by a Nasa Photographer of space. I think this goes without saying this is the best shot with correct exposure and detail even after 212 hours of shutter time. 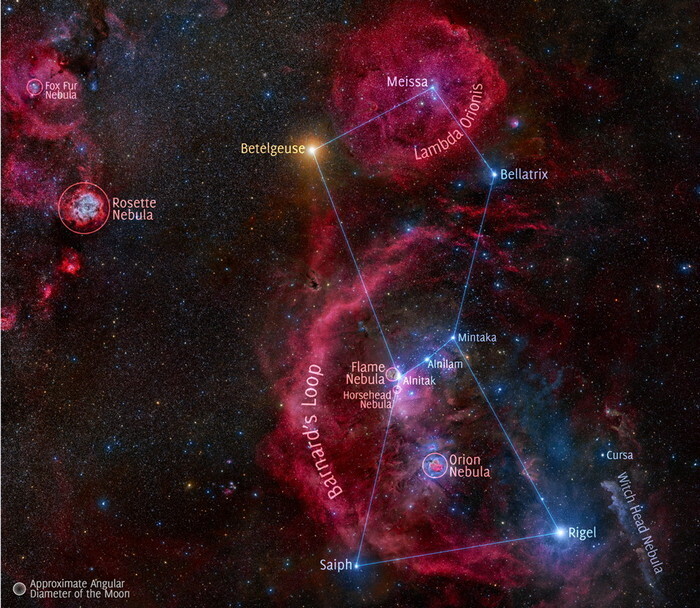 The visible red arc in the middle is Barnard’s Loop and multiple nebula clouds. One of my favorite places and this location is very popular as it inspired many racing games including NFS. 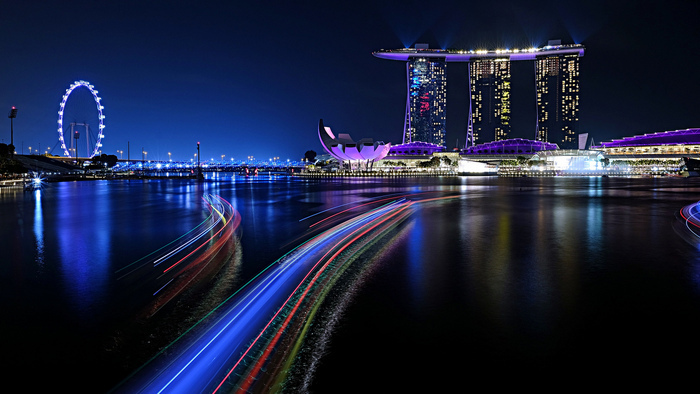 Anyways this beautiful shot was clearly taken at night around 9PM when the traffic is busy. The vehicle trails with headlights and brake lights are well picked by the camera. 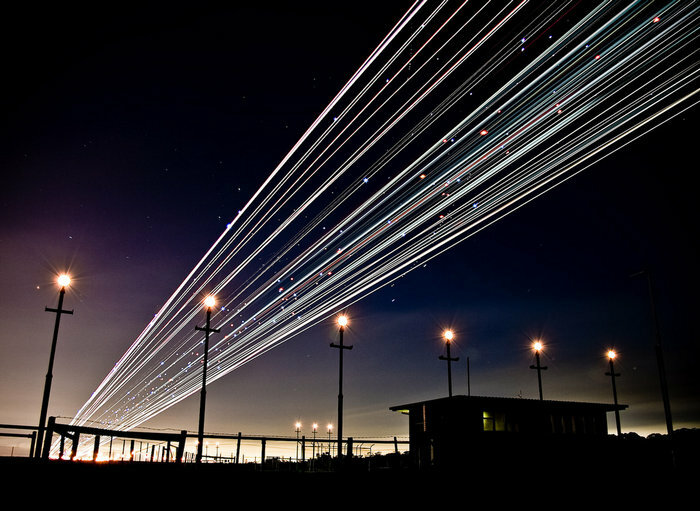 Here is something to remember by as what you see here is a airplane landing at the Melbourne airport. This is one of the oldest shot by an old camera I found on Flickr and here you see a swirling star trail on this desert landscape. The exposure time was around 65 minutes which is kind of a long shutter time but the shot is epic. A shot of how a casual boating experience turned into a brilliant abstract art by Jesslyn. 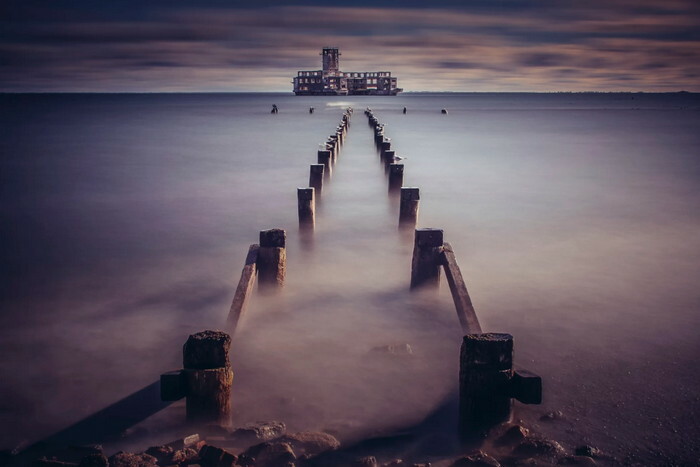 A beautiful shot of Torpedownia, one of the historical places on the planet that is now abandoned or what that is left behind with the World War 2. It used to be a torpedo testing station in Bay of Buck, Poland. 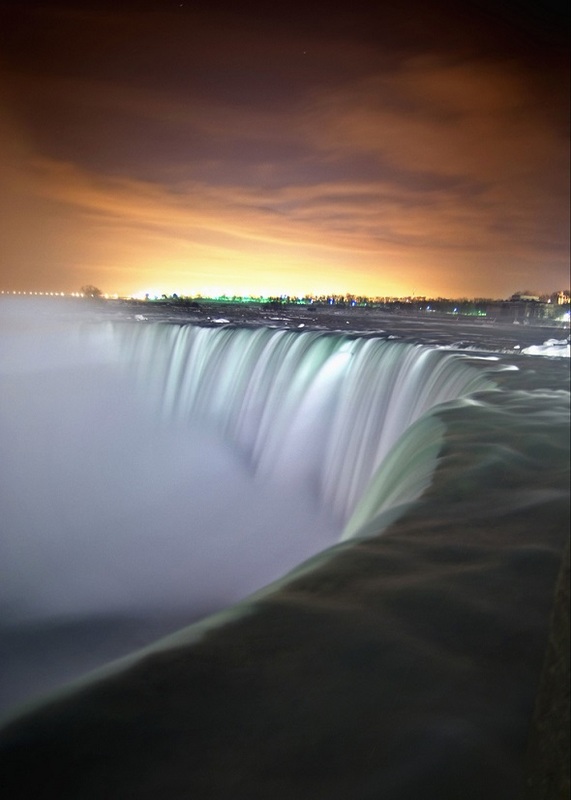 The time exposure shot made the water look like a sea of foggy clouds. This photography was taken by Patryk Kuleta who is the most followed photographer by many enthusiasts around the world. You can find his work on National geography and 500px. Evgeny Tchebotarev is one of the most inspiring entrepreneurs, amazing photographer and founder of 500px. He is one of the few photographers on the planet who connected million others. Despite his success he still finds time to take epic shots like this and have fun along the way. I personally love shots where water becomes milky, works great as a wallpaper. 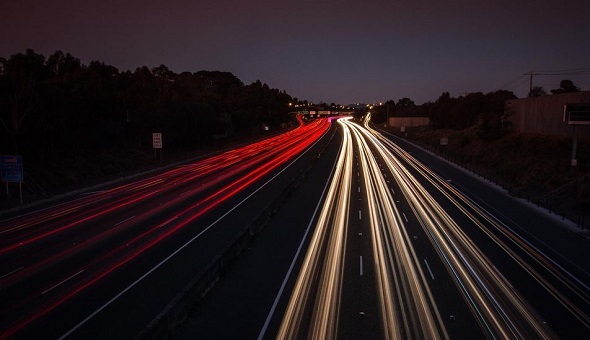 The longer streaks of light made by vehicle headlights at sunset is eye catching. Shot from this jaw-dropping location of Canadian Rockies, it looks like a light cycle race from Tron legacy movie. 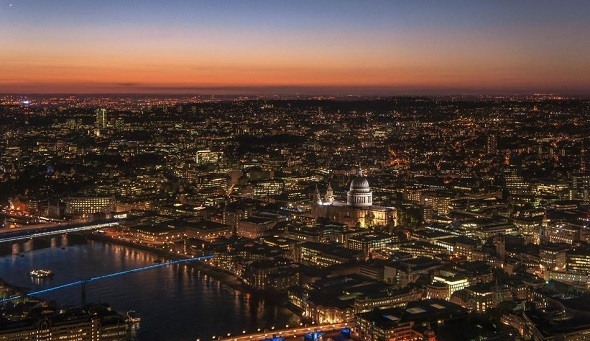 This shot is taken by one of the pro photographers Daniel Fleischhacker, who has made his name in the industry. 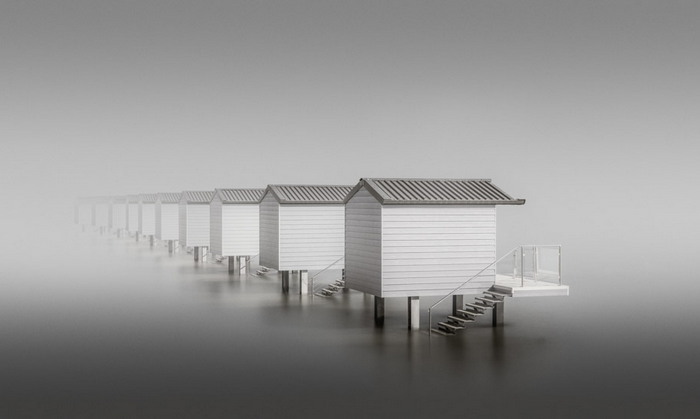 He has many achievements to his name and also the winner of the recent Fine art photography awards held in 2018. The photo from a beach in Denmark shows awesome color effect but with a bit of post processing using Photoshop. 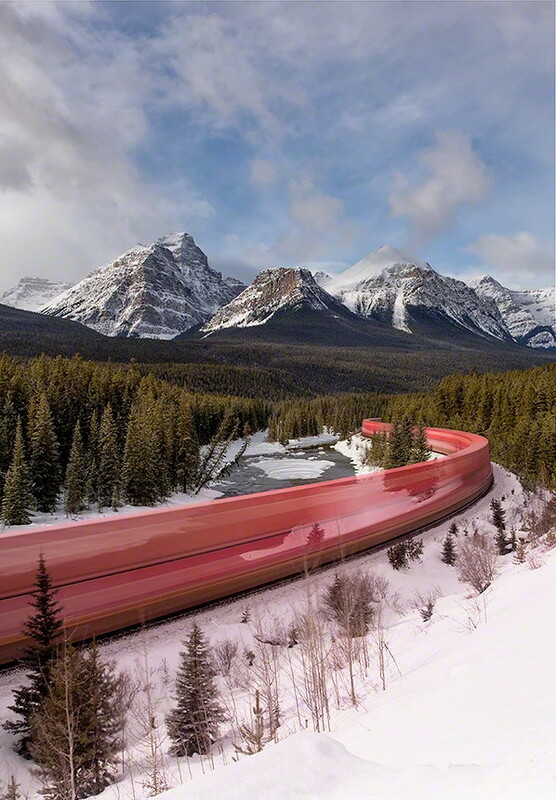 This shot took only a second and yet it captures the trail of train with clean motion blur effect. This maybe the shortest long exposure photo in this collection. 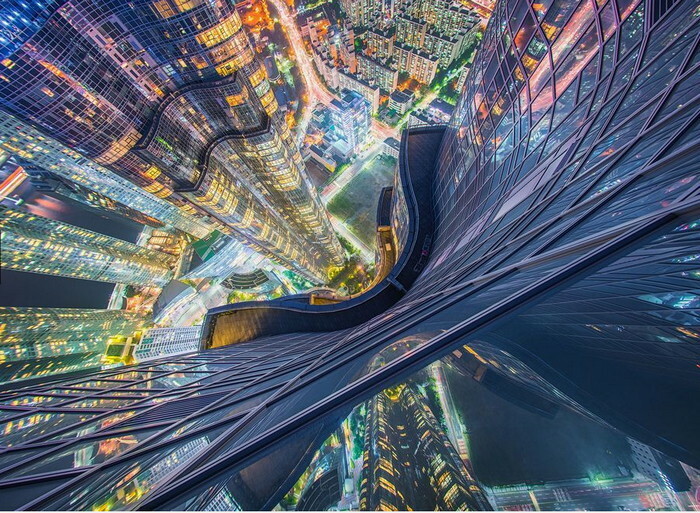 This is another extreme shot by Jesus M Garcia which made him win the Open Photographer of the Year at the Pano awards hosted by Epson International. This one shot is a patient effort of this photographer. After five long decades of inactivity this stratovolcano in southern Chile finally erupted in 2015. 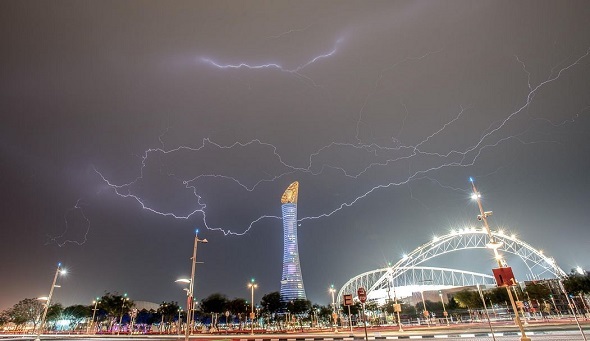 The photo shows hell on earth with lightning and mixed dark forces of earth. 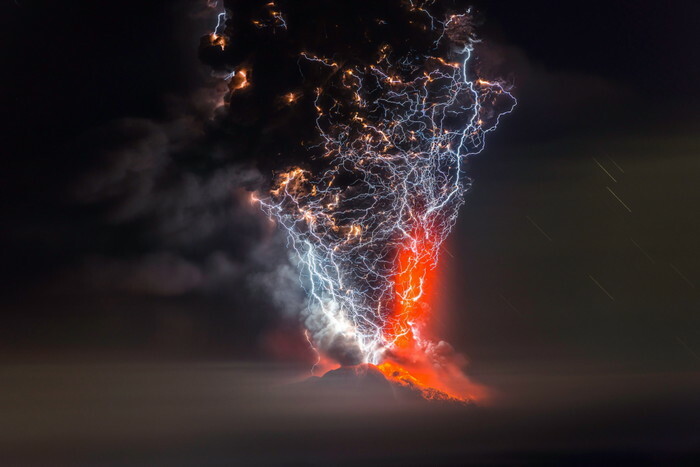 Francisco Negroni is a well known volcanic photographer who takes risky shots of thunderstorms and volcanoes, eruptions and anything deadly like this shot. This is one of his epic shots. 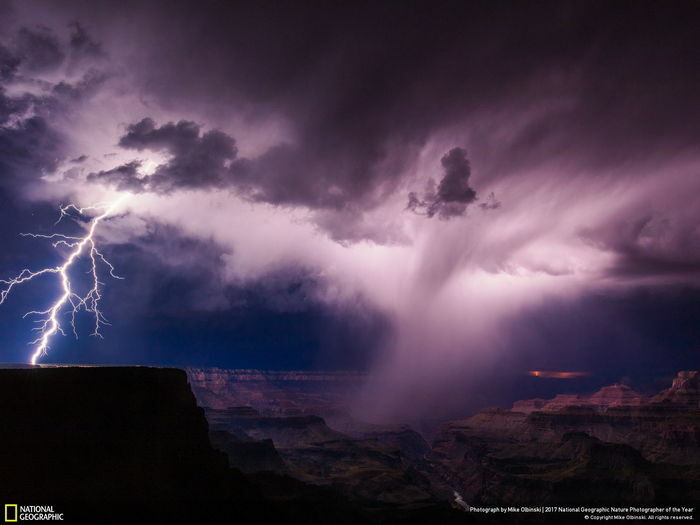 An award winning shot of a thunderstorm pouring lightning down on Grand Canyon, Arizona US. It claimed third place on 2017 National Geographic Nature Photographer of the Year. Grand Canyon is one of the most popular places on earth every photographer want to visit in their life. Darren Moore is one of the best photographers when it comes to taking shots of buildings and architecture. He loves the technique called daytime long exposure and this is an example of such shot. The shutter open was for 100 sec to get this neutral shot in total black and white color. This specific shot was taken in UK, it also made him win the 2017 Major Amateur Winner on Pano awards. One of the coolest scenic waterfalls making a whitish water trail near the deep canyons in southeast Washington, United States. This one is also the final product of clever photo editing skills of Blake Randall. 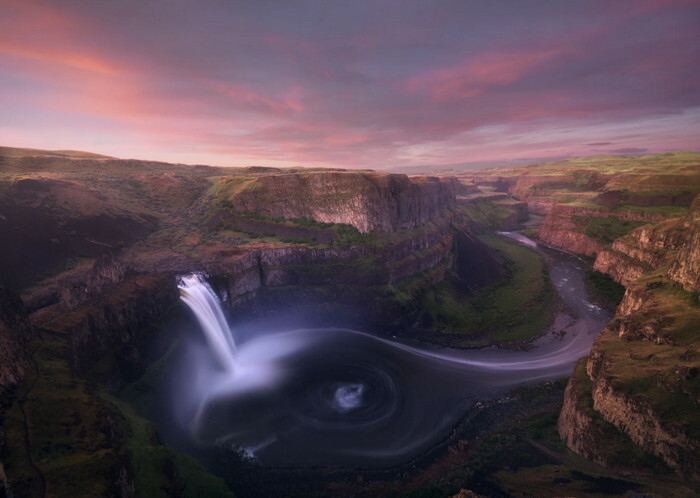 An original shot of the landscape was shot using a neutral density filter and a second shot to get the beautiful sky. Both of them well blend using Photoshop software. Amazing ain’t it? 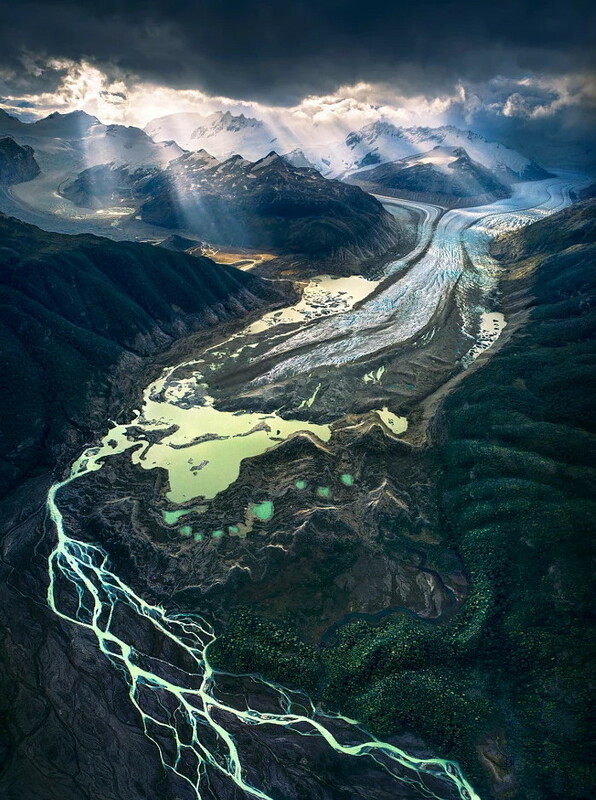 This epic shot from an unknown location in Patagonia is by one of the famous photographers “Max Rive”. Anything from this photographer generates a lot of hype among the community. His passion for adventure and hiking along with an eye for scenic beauty is what we see here today. Most of his travel locations and camera settings are secret. It looks like he used CPL filter to cut the reflections of the water and at the same time to get that royal blue skies and mountains. 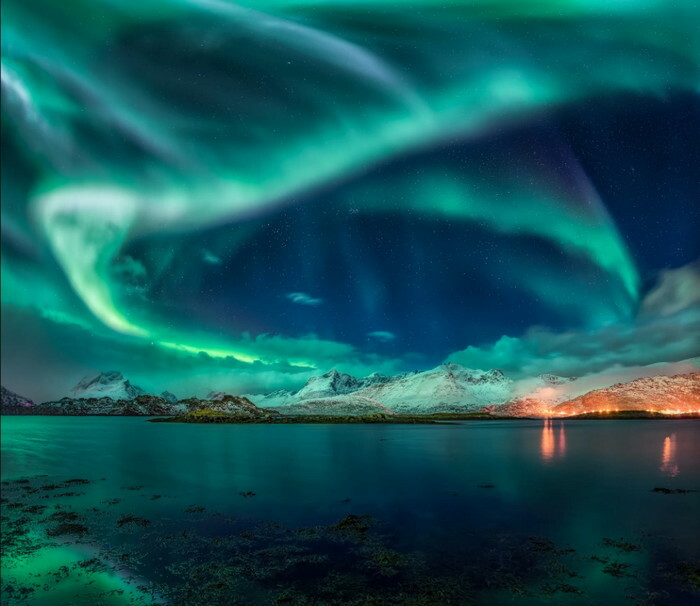 This is a secret meeting place of sun and earths atmosphere and the result is this beautiful pale yellowish-green aurora. 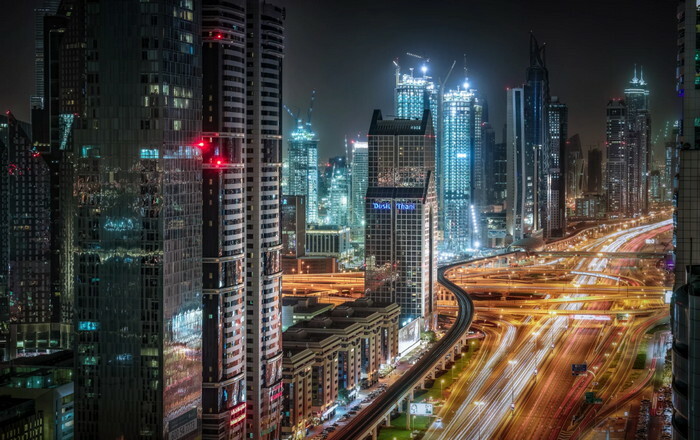 An amazing night photography of the busy streets of one of the most richest places, Dubai. 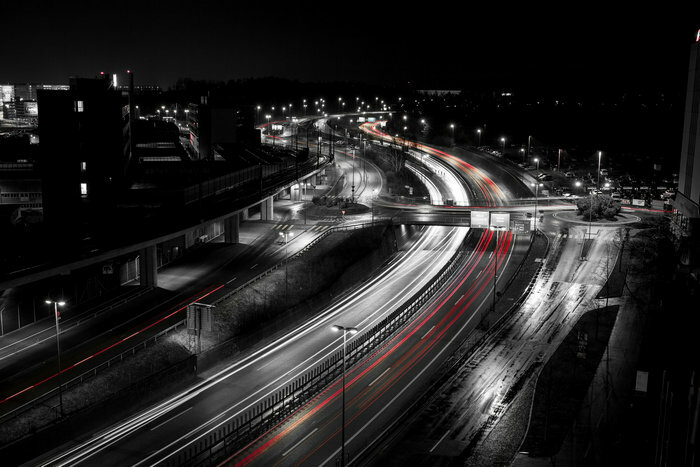 The lights from skyscrapers, city buildings, street lights, car trails make this shot a dreamy photography effect. Serge Ramelli is an actor, mentor, photographer who has been in the field for quiet a long time. 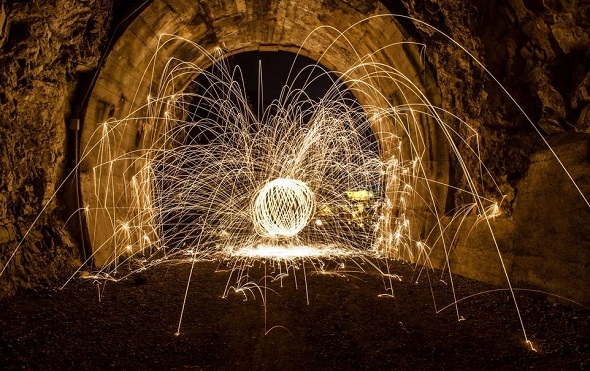 The below shot is breath taking example of long exposure photography and this is achieved with patience and talent. The photographer also has a very popular youtube channel for photography tutorials reaching 500k subscribers. Shot using an entry level camera this shot created an awesome spiral carousel in water on the side of Brooklyn Bridge. 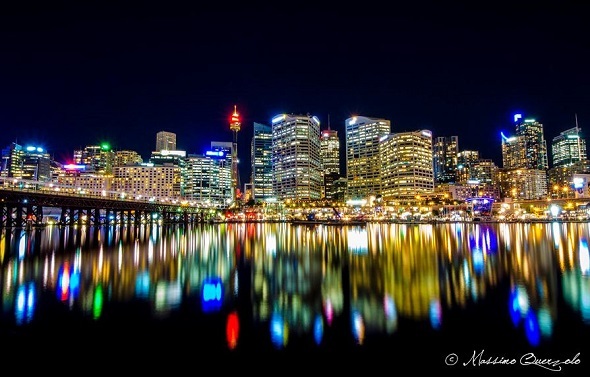 The ice, the water and the beautiful lights all make the shot a complete eye candy. 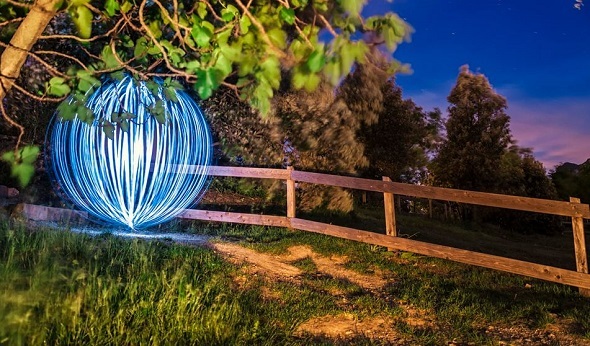 Light painting is one of the most used long exposure technique and widely used in wedding, fashion and fine art. It adds much life to a portrait but in this case I feel like its healing the person in the shot. With a simple light source this shot was planned and executed perfectly. 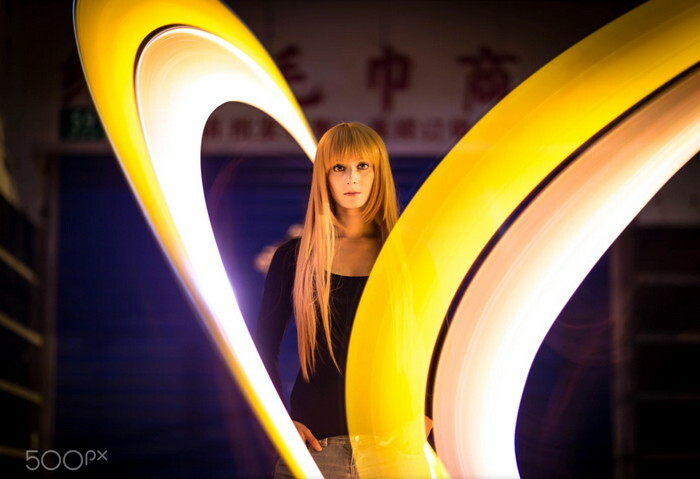 This light painting effect adds an abstract art to the person in the picture. The creativity of the photographer Gunnar adds much reality to the shot giving a cutting effect of a sword. 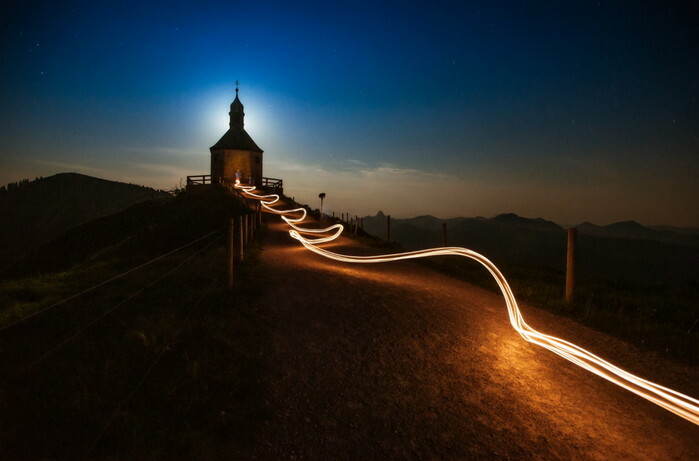 This German photographer is very famous for his light painting skills and you should check his other photos as well. An epic shot with multiple light sources painting the artist in the middle. 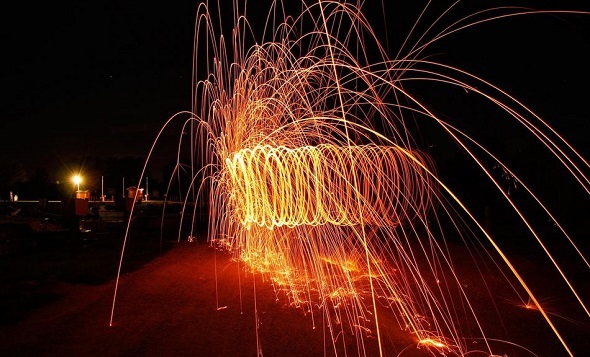 Sparklers are all over the subject with precise circular shape. This yoga pose casts a powerful aura and feminine beauty. This is another great shot by Gunnar Heilmann and I love this one so much. 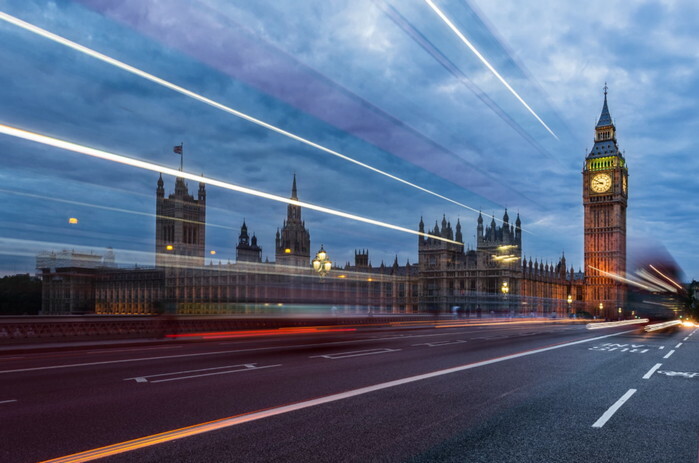 A beautiful shot by an amateur photographer which is taken from Westminster Bridge showing light trails of moving vehicles along with the House of Parliament. 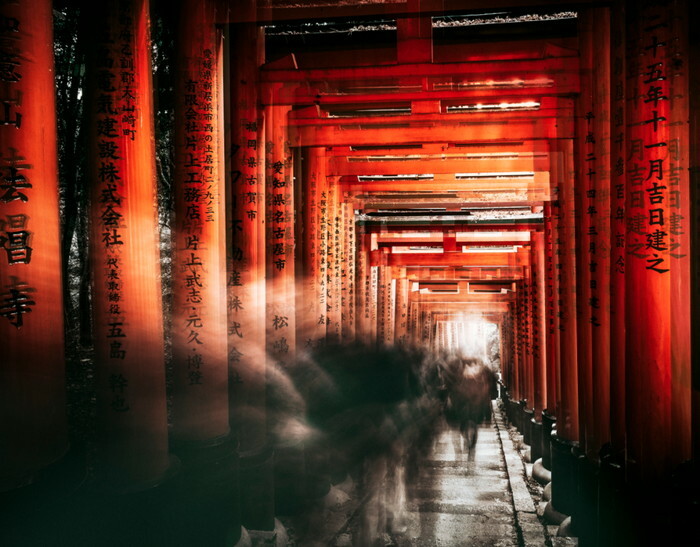 A cinematic shot of Fushimi Inari Shrine with a 3 second exposure time of the person and thus giving a mysterious feel to the whole picture. The head and tail lights has an eye-catching composition with the road trail glowing in yellow and red. The grey blue mountain and the sky gives an amazing contrast to the trails in this shot without any doubt. 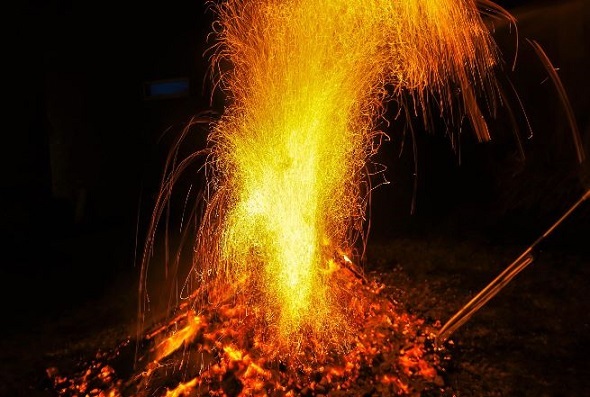 Jiri Paur is an Amateur photographer and yet he has some of the inspiring photography works which show off his skills. 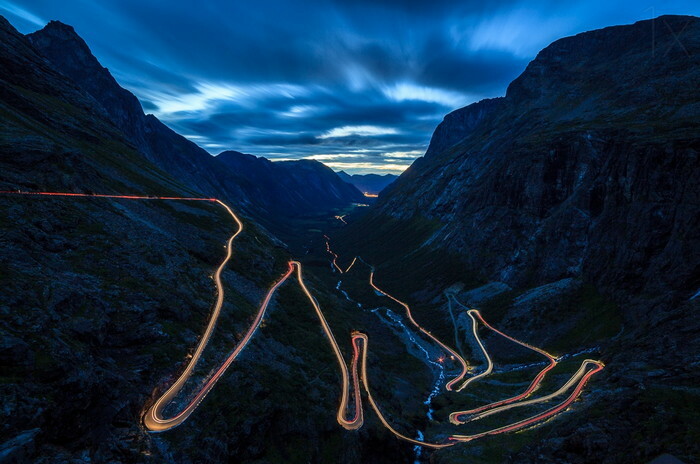 The traffic looks like flowing from the mountain top precisely around the hairpin curve to the bottom. A well composed shot by Karl which gives this shot a high contrast to the light trail while the rest of the landscape has a cool blue tone. 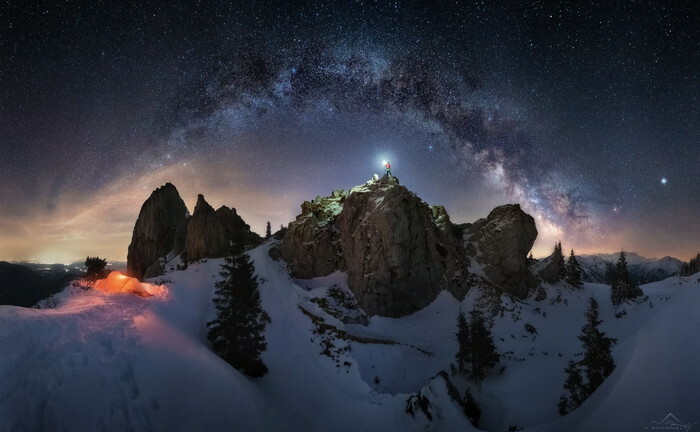 Like Max Rive, Nicholas Roemmelt is an explorer who wanders the unknown terrains to the point he touches the sky. 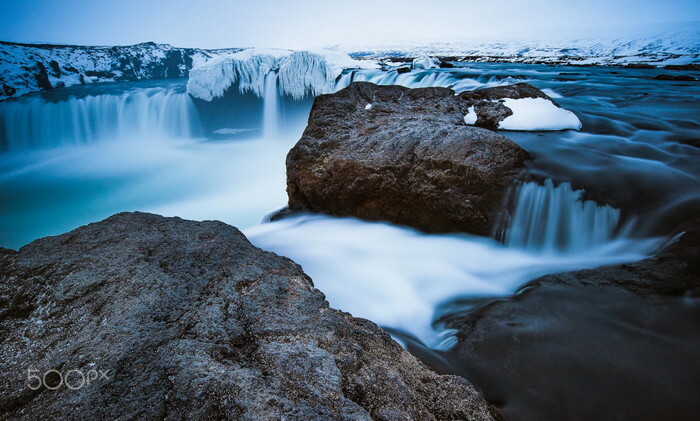 He is also the Amateur Award Winner in Nature / Landscape photography and this one is the favorite among many. The night sky looks awesome with those glittering stars and the light in his hand adds to the total effect. 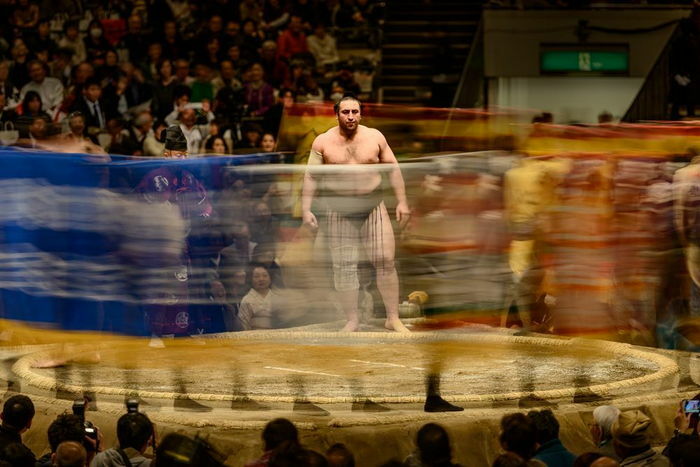 A shot captured at the right time shows beautiful colors when the prize curtain moved around the sumo fighter. This photo was featured on Nat geographic Photo of the day for capturing the emotions and concentration of the fighter right away. Taking risks are part of most photographer’s business but this one is taken from Zenith in Busan which is the highest residential building in Asia. Even with proper safety measures most of us will faint at this height and this epic shot was taken by hanging at the edge of the building. Over a million followers from around the world, Sam kolder is the one of the best photographer, filmmaker on the planet who loves exploring it to the extreme. 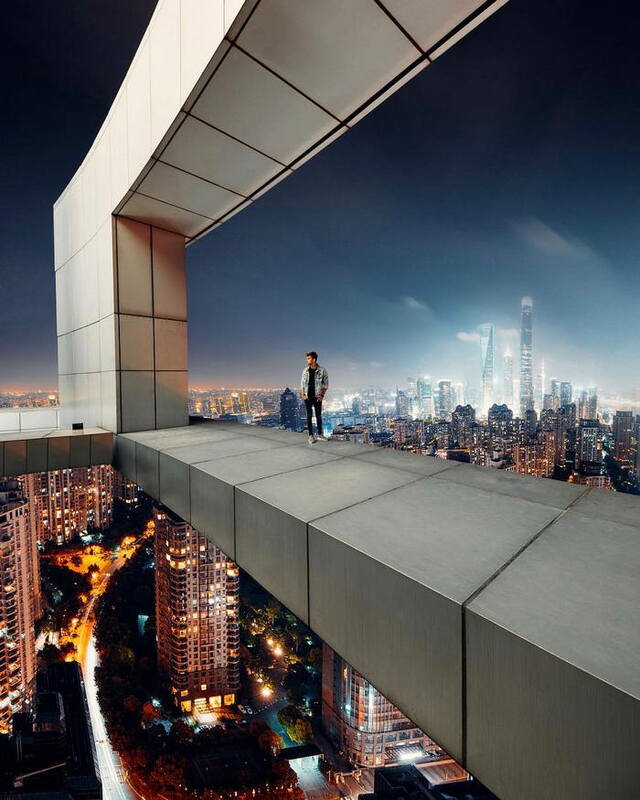 He is much more into outdoors, adventures and landscapes and those risky skyscrapers. He is also most popular Instagamer and Youtuber who goes by the name kold. 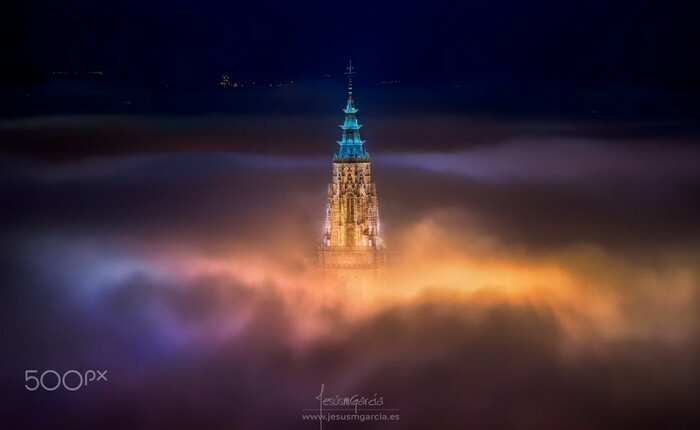 This magical portrait on top of this highest building is one of this amazing shots. 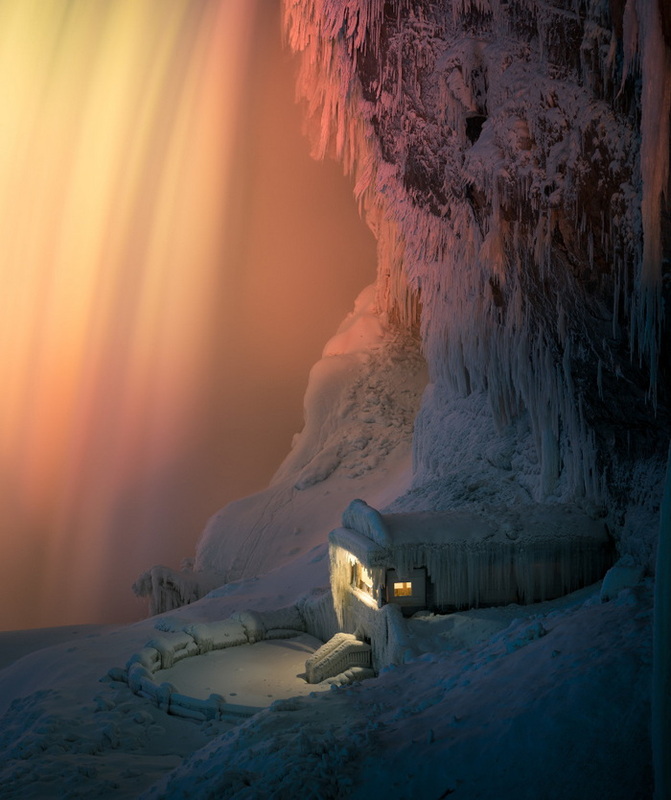 This is a perfect fine art example of icy niagra waterfalls with a long shutter open time. It looks something like a alien home. This picture won 3rd Place in One-shot:harmony / Fine art on International photography awards(IPA) 2018. Alex Telfer is the winner of Lucie awards for the best Photographer of the Year 2017 in Advertising. 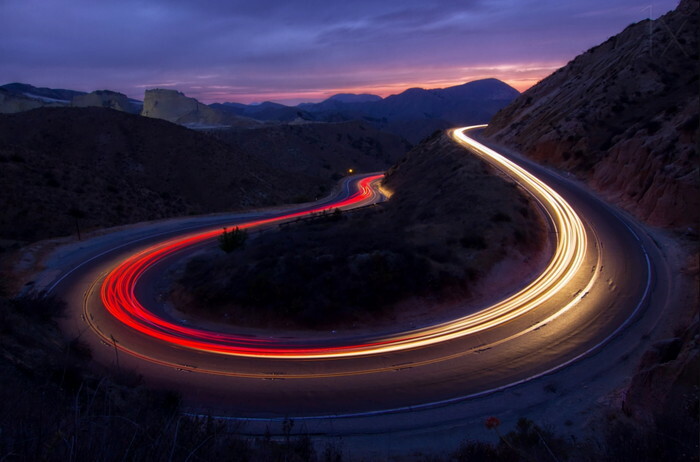 Here is a great example of his work for Audi A7 with light trails in the hairpin curves. 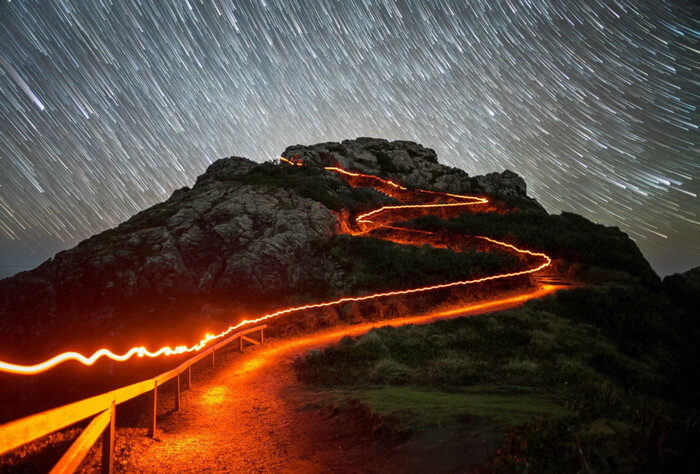 This is an awesome shot of light painting and star trails together leading to Wedding Rock. This is a magical place to get married and people go there with a romantic mood. 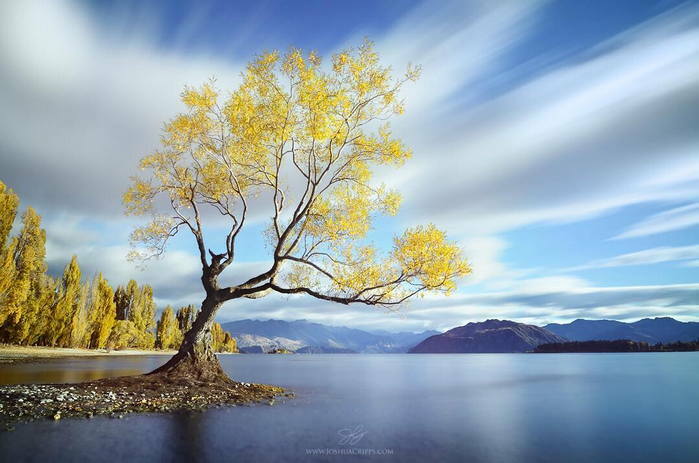 An awesome shot by Josh Cripps from a magical landscape in New Zealand and I came across it when I was checking a youtube tutorial on using 10 Stop Neutral Density Filter in daytime photography shots. 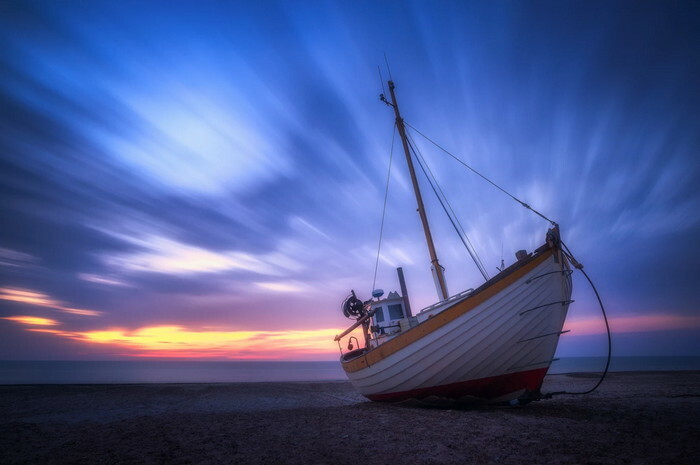 There are several ways to use the long exposure times, for instance you can blur everything in the frame or simply take a still night without moving objects. You can get the spectacular effects commonly when you join moving and still objects in the frame. Check this example of light traces done using just a LED headlamp as the photographer moved around the structures for a couple of seconds. 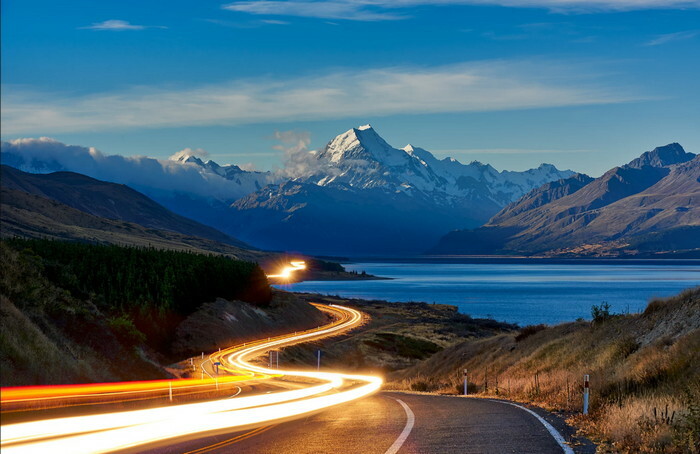 Long exposure technique is much famous, however, it is known as the most difficult type of photography that needs comprehensive skills to practice a moment in several styles. This example gives you an ultimate inspiration of how the photographer waited months to perfect this shot. 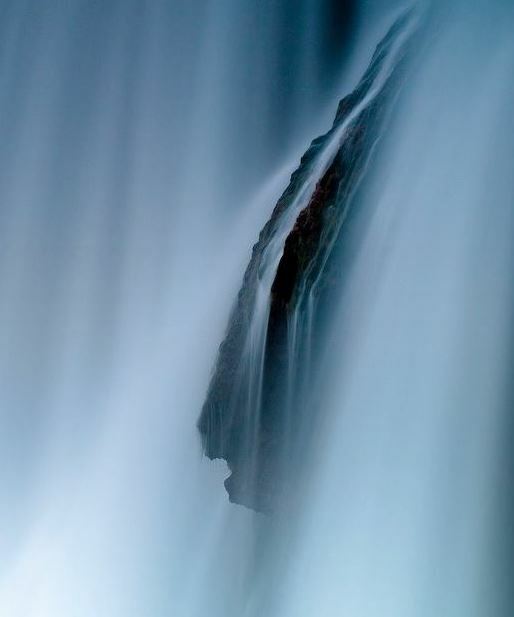 Here you will find a different perception of waterfalls having a milky effect when the shutter is open for just about 30 seconds. 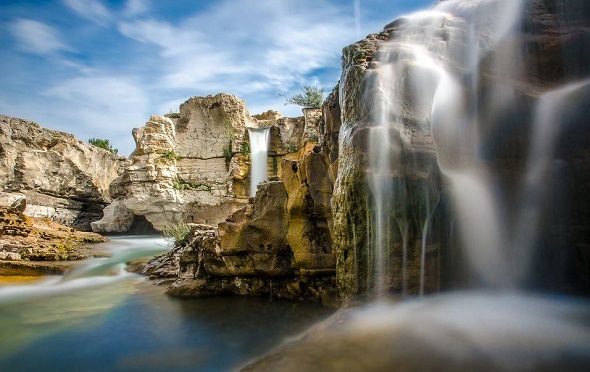 Another scenic shot of Sautadet waterfalls and this one of the natural wonders of France which is less explored. 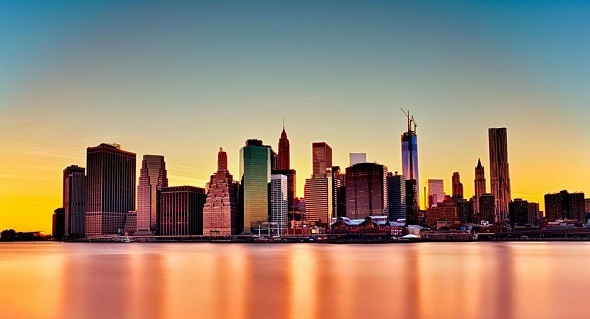 Check this photo, how originally it portrays the picture of the sunset. No moving objects, it is a still photography excellence. 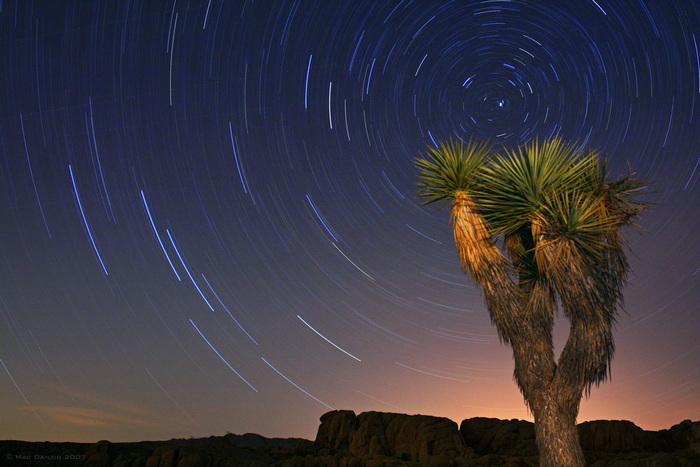 Star trails are created because of the rotation of earth during long exposure. 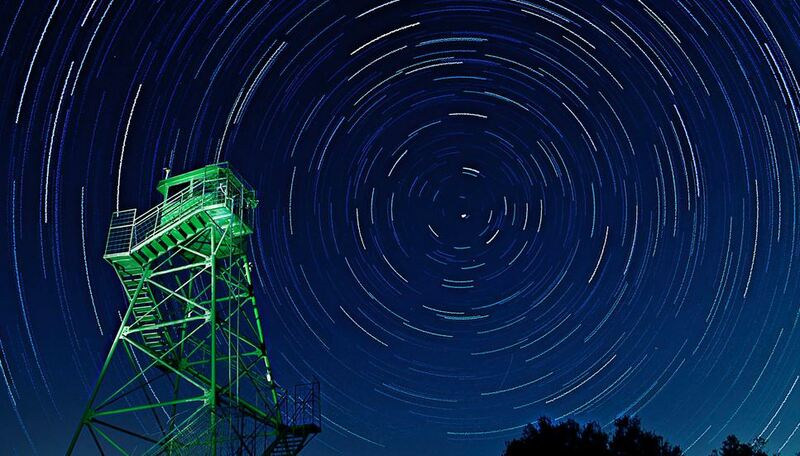 Get excellent inspiration with the following star trails photos. 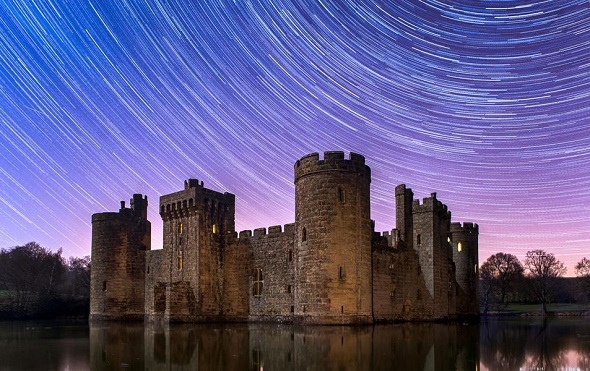 A shot capture by Dade Freeman with star trails floating around the castle. This is one of the historical buildings in England and it was built to defend against the French Invasion. Cool, ain’t it? In this photo, the flowing water can be seen in still form. Another fabulous aspects of this photo is the sunset that holds something charming yet romantic. 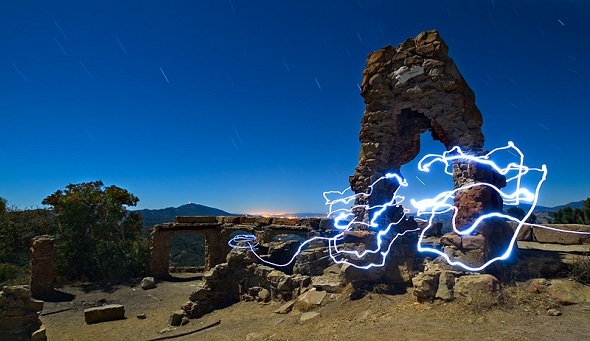 These are the most excellent long exposure photo samples that is achieved with patience and skill. Shot using an entry level camera, Earl cook made this picture a memorable piece of landscape photography. 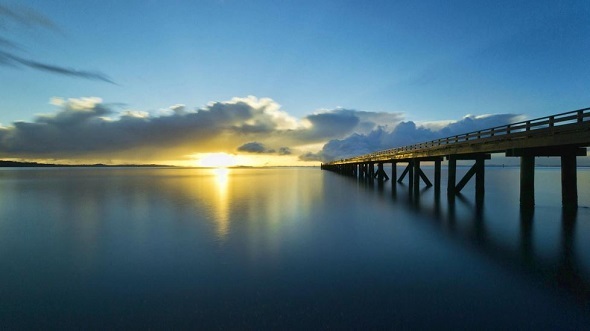 Once a dock this is now one of the popular picnic places for families and it is located in New Zealand. 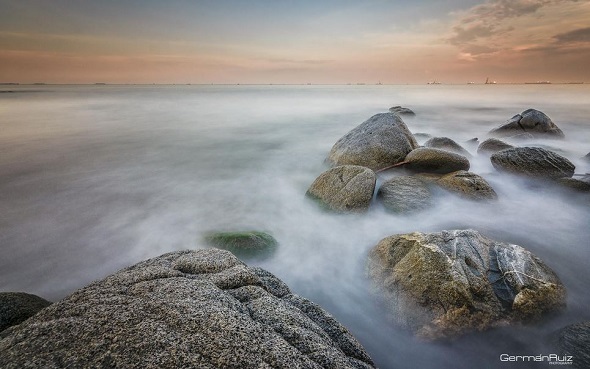 A pic from Santa Marta Beach shows an amazing photo of water flowing over stones that looks still and milky. 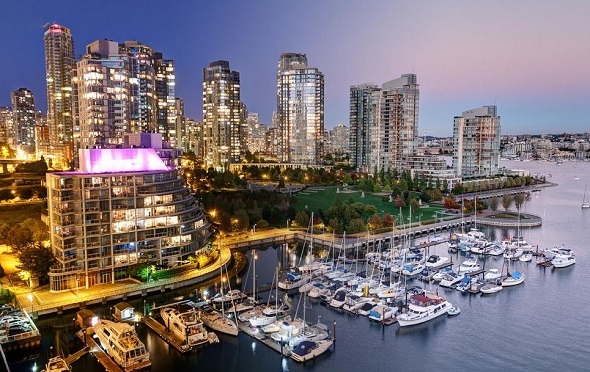 This will definitely add up an excited inspiration in your ideas related to this type of photographic art. Night with low light conditions always holds special effects and charm especially for lights in traffic. 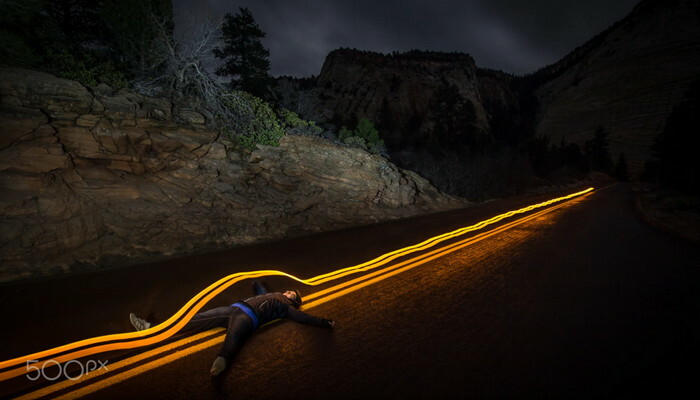 Check out the following light trails that will inspire to capture such photos to add in your portfolio. 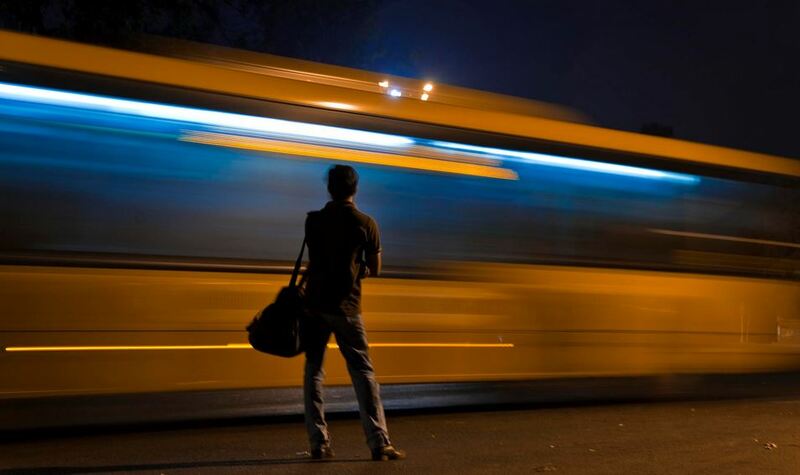 Moving vehicles including buses, cars, and trains could be captured with long exposure photography skills. See these followings samples to get ideas how it could be best to take such images and enhance your portfolio with innovative collection. 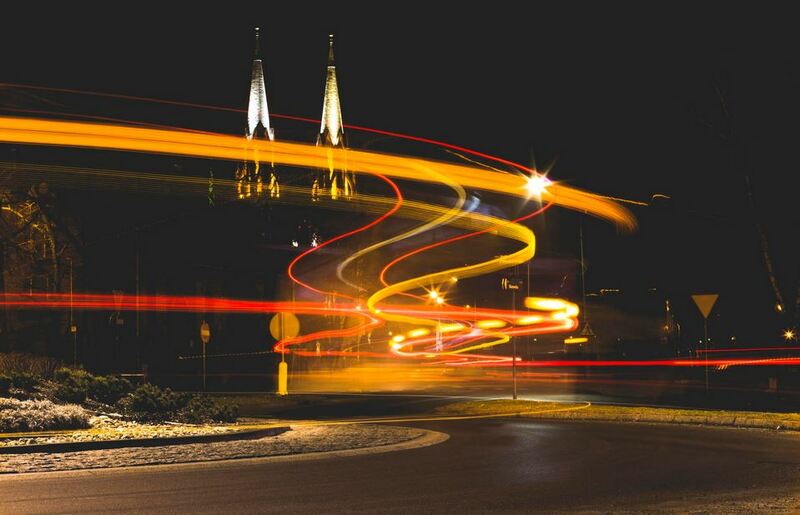 Lights always look stunning when we capture specifically at night. 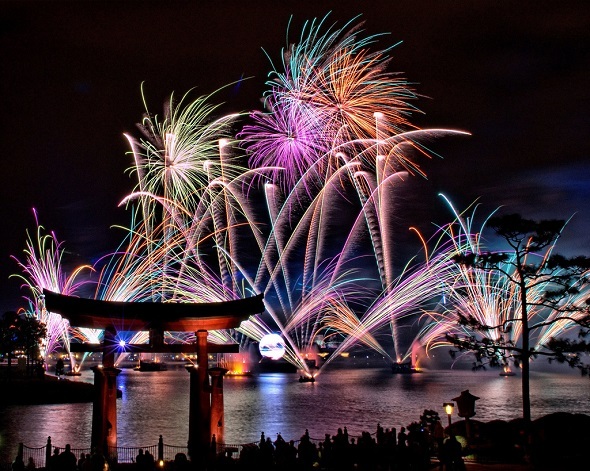 Not only the lights, the fireworks also look brilliant when captured, but it becomes difficult to capture moving lights and fireworks. 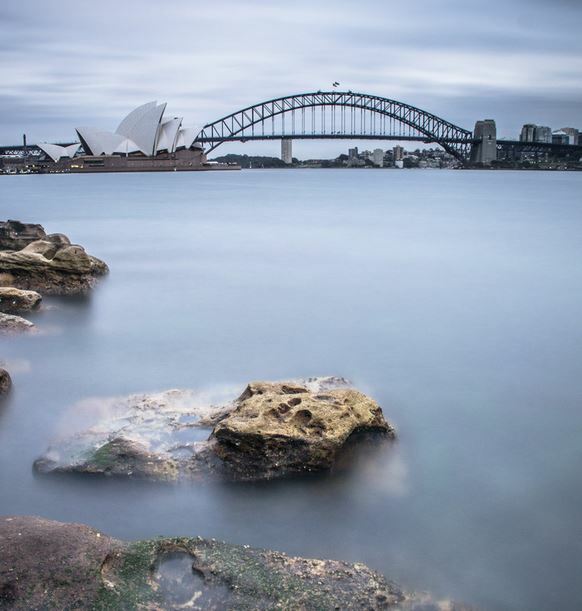 Several best long exposure photographers have captured these shots, you may be want to give it a try, if you do, let’s have fun! It requires quite patience and skill to capture thunderstorms as these photos have a wow factor to them when done correctly. 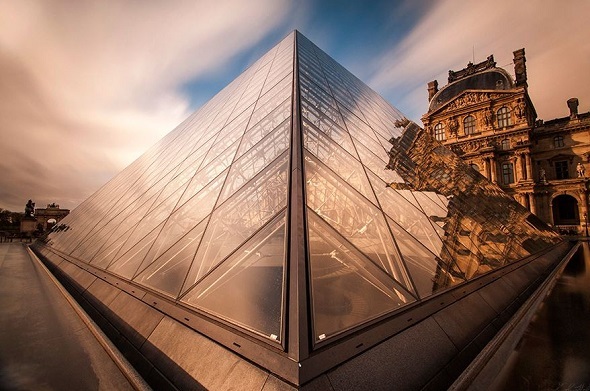 Louvre Palace is one of the most popular places in Paris. This is a very nice capture with foggy clouds and their reflections, shadow on the mirror. What do you think of this photography technique? Is it something you use regularly or is it just for some occasional fun moments? If you don’t have a camera then there are Android and iPhone apps that let you manual choose exposure time. My favorite being the ProCam 5 app made for iPhone, it works well with latest iPhone models and yes it lets you capture light trails and motion blur.